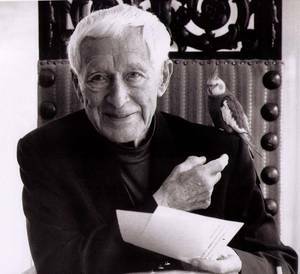 Ernst Jünger (1895-1998) was a German writer whose first book was published in 1920 and his last in 1973. The first, In Stahlgewittern: Aus dem Tagebuch eines Stoßtruppführers (1920), translated by Basil Creighton as The Storm of Steel (1929) and as by Michael Hofmann as Storm of Steel (Penguin, 2004), was based heavily on his own experience in the war (see under War Experiences for more detail). It remains his best-known and most widely read book. One commentator talks about the specific style of his war-writing, which he refers to as a sublimation “of the war experience into an exploration of the fantastic” (Neaman, 29). The science fiction Jünger wrote in subsequent years (see the Encyclopedia of Science Fiction) was often allegorical and highly political. Auf den Marmor-Klippen (1939) (translated by Stuart Hood as On the Marble Cliffs, 1947) is an account of the destruction of a civilized country by an invasion of barbarians, and has been thought of as a classic of the resistance to Nazism. Heliopolis: Rückblick auf eine Stadt (1949) is an ironical utopia. Die Gläserne Bienen (1957), translated by Louise Bogan and Elizabeth Mayer as The Glass Bees (1960), is the story of the creation and use of robot bees for industrial work. Eumeswil (1977), translated by Joachim Neugroschel as Eumeswil (1993), describes the attempts of an historian to subvert a dictator’s rule by learning about the past through a time viewer. Jünger was born in Heidelberg, but grew up in Hanover. His father had a doctorate in chemistry, and worked as a pharmacist; both his parents were cultured and educated, and supportive of their son. Jünger did not do too well at school, partly because of his early and long-lived dislike of the Establishment. In around 1900 he joined the Wandervögel (rather like the Boy Scouts, but with more of an emphasis on hiking and folk-songs). When he was 18, in 1913, he ran away to join the French Foreign Legion. By the time his father rescued him, on the grounds of his youth, he had served for one month and attempted to desert once. He joined a Hanover regiment soon after the declaration of war, and served throughout the war: see War Experiences. He served in the army of the Weimar Republic for some years after the end of the war; he was demobbed in 1923. He then studied the sciences, and became an entomologist of some distinction: there is still a prize in that field called the Ernst-Jünger-Preis für Entomologie. Jünger’s writing career was often controversial, largely because of his complex and changing political stance. Initially, he certainly appeared as someone who glorified war. Both in Storm of Steel and in Feuer und Blut (Fire and Blood) (1920), he presented war as something which elevates the soldier’s life into a kind of mystical experience, beyond anything that a civilian could experience. The destructiveness of modern military weapons should not be decried, but welcomed, as providing the ultimate test of human endurance. His message about military technology was reinforced by the seven books of photographs he published between 1928 and 1934. The first two—Die Unvergessenen (1929) and Der Kampf um das Reich (1929)—collect photographs of the Front and its dead, many of which he had taken himself. When one adds to this the fact that he published articles in right-wing journals, and criticised the Weimar Republic, saying that he hated democracy, it can be seen how many suspected him of being sympathetic to the Nazi Party in the 1930s. But in fact Jünger’s emphases were quite different from Hitler, with their origins in the aesthetic ideas of the futurists. He thought that the racial aspects of Nazi ideology “leads to sheer nonsense” (quoted Neaman, 31). “In the successive rewriting of his war memoirs, Jünger gradually incorporated the essential ingredients of a ‘fascist’ style; references to dynamos, youth, speed, machine power, intuition, instinct, and the sublimation into a new aesthetic of violence” (Neaman, 30). In addition, Jünger was not someone who enjoyed joining things. He refused a number of significant job offers from the Nazi party, and on 14 June 1934, he wrote to the official Nazi newspaper, the Völkischer Beobachter, asking that it should not publish anything which he wrote. Both he and his brother Friedrich Georg left their old regiment’s veterans’ organization when it expelled its Jewish members. His science-fiction book Auf den Marmor-Klippen (1939) was widely perceived as an allegorical attack on the Nazi regime. In the Second World War he served as a captain, although he spent much of his time in an administrative position in Paris (part of which he described in his book Gärten und Straßen (1942, Gardens and Streets). He was distantly associated with some of those officers who were involved in the attempt to assassinate Hitler, and he was dismissed from the army in 1944. His son, a naval cadet, was imprisoned for subversive conversations; he later died in action in Italy. Jünger himself was kept under surveillance by Himmler’s security service, and Goebbels suggested ending him to a concentration camp on the basis of what he wrote in Auf den Marmor-Klippen. But Hitler, it is reported, ordered that nothing happen to Jünger, whose war-writings he admired (Neaman, 32). Rather than being lauded for this after the Second World War, Jünger’s right-wing attitudes in the 1920s were remembered, and it was a few years before he could be rehabilitated. He came to be regarded as one of the foremost writers in post-War Germany. In 1965 the publisher Klett put out a ten-volume Sämtliche Werke (Collected Works). In 1984 he effectively abandoned the militarist enthusiasms of his youth by joining Chancellor Helmut Kohl and President François Mitterand at a Franco-German ceremony on the symbolic site of Verdun in France, France, where he declared that the militaristic ideology common in Germany before and after the First World War had been “a calamitous mistake”. He died in Riedlingen, Upper Swabia, at the age of 102: the last living recipient of the Prussian military order Pour le Mérite, which he had been awarded in September 1918. For the above I am indebted to the Wikipedia article on Jünger; to Gerhard Loose, Ernst Jünger (New York: Twayne, 1974); to Thomas Nevin, Ernst Jünger and Germany: Into the Abyss, 1914-1945 (London: Constable, 1997); and to Elliot Y. Neaman, A Dubiopus Past: Ernst Jünger and the Politics of Literature after Nazism (Berkeley CA: University of California Press, 1999). I have looked at, but not properly used, Helmuth Kiesel, Ernst Jünger: Die Biographie (Munich: Siedler, 2007).